Regulatory compliance issues, coupled with consumer concerns with product labeling resulted in an improved labeling system for one customer. A local life science company trusted Huffman Engineering to integrate a series of laser print systems and vision verification systems on five packaging lines. Meeting the regulatory compliance standards, assuring safety and improving efficiency were key in developing the system that required high-quality lot-code and expiration-date labeling. Although the customer had existing labeling systems, the hot-stamp process and the dot-matrix printing processes had both been unsatisfactory. Smearing and incomplete stamping led to many customer complaints and regulatory observations. In a culture of increasing awareness of the need to track consumer goods to the source, Huffman Engineering’s mechanical design and control systems integration abilities were both employed. 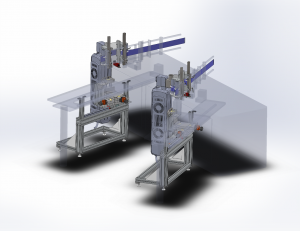 With precision in mind, a custom-designed mechanical system assured the system could conform to various package sizes and shapes. Improving the clarity of the label by using laser printers and verifying print with a vision system, Huffman Engineering addressed the regulatory and consumer concerns. The laser and vision systems were deployed on two packet Cartoners and three bottle labelers. Understanding the need for uniformity and agility the Huffman Engineering team chose to design, fabricate and install adjustable, repeatable mechanical mounts for the Systech vision system cameras, Domino laser printer equipment, and the fume extraction equipment. This gave the system a feature of adjustability unique to this project and application. 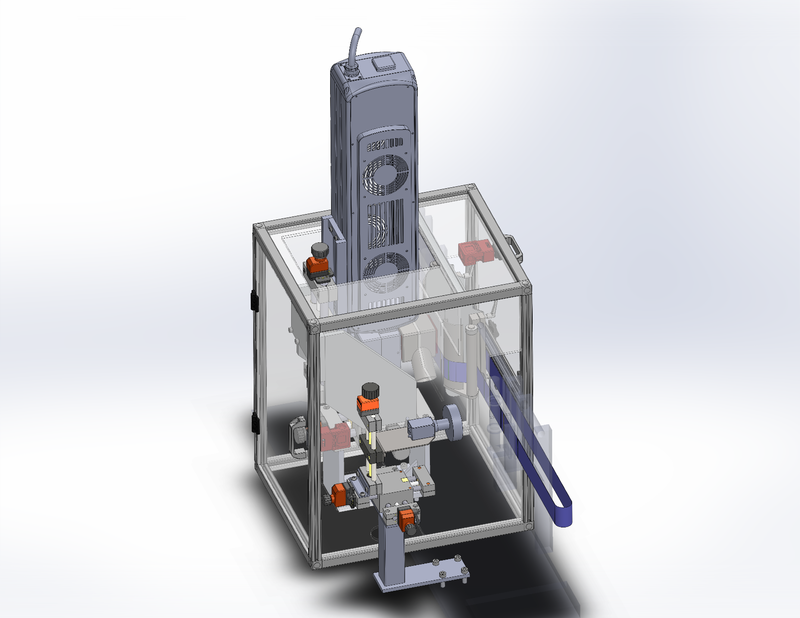 The mechanical design and implementation across several different pieces of equipment required an understanding of both the final outcome and the process employed in the printing process. A new system linking the printing systems, vision verification systems and fume extractor systems had to integrate with existing equipment control systems. This required an understanding of each of those systems. Allen-Bradley SLC-500 PLCs and an obsolete third-party operator interface controlled the older Labelers. Another Labeler was controlled using an Allen-Bradley CompactLogix PLC and CTC operator interface. Two Cartoners used Allen-Bradley ControlLogix PLCs and Rockwell FactoryTalk View HMIs. Coordination between the design and implementation team and the customer required a focused effort in project management. The system implementation needed to have minimal impact on customer production. 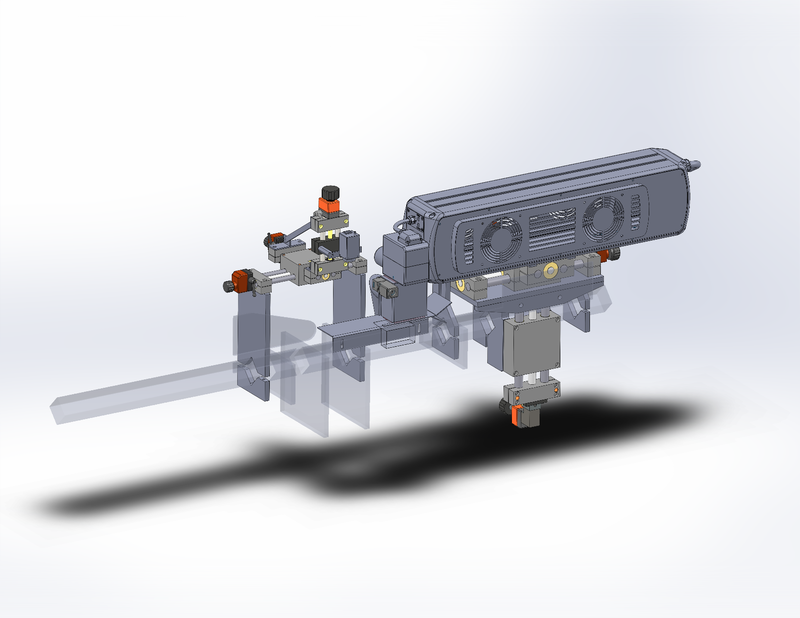 Understanding this need, the mechanical parts were 3D modeled, approved by the customer and fabricated ahead of time. A control system design and integration plan streamlined the installation, again minimizing the impact to production. The project required reject tracking, rejection and reject verification. Functional requirements and specification documents and test protocols assured the requirements were met. Additionally, PLC and HMI programming, following a proven project methodology plan to integrate these requirements with the existing equipment. The turn over package included drawings, specifications, testing, commissioning and validation documents. 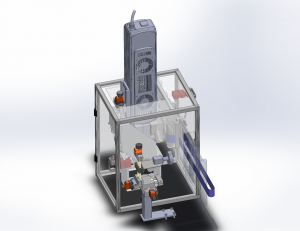 Huffman Engineering has worked with the life sciences industry for over two decades. Over that time, regulatory requirements and consumer demands have changed. This customer trusted a sensitive packaging system integration to the Huffman Engineering team. The resulting process was improved quality and readability of the information on packages and cartons leaving the facility. Consumers would be assured the lot numbers, expiration dates and other pertinent information was accurate and legible long after the packages left the plant. The customer’s new labeling system improved efficiency and assured the flexibility to change with product packaging variations.